TODAY IS CYBER Monday, which isn't the greatest thing for a small retail business. We've noticed a lot of bigger stores offering the convenience of ordering online and then picking it up in the store, calling this Cyber Week! Let's do it. So the way Sheryl and I figure it, you can still do Cyber Week at Second String Music. Heck, you can do Cyber Christmas, if you want. 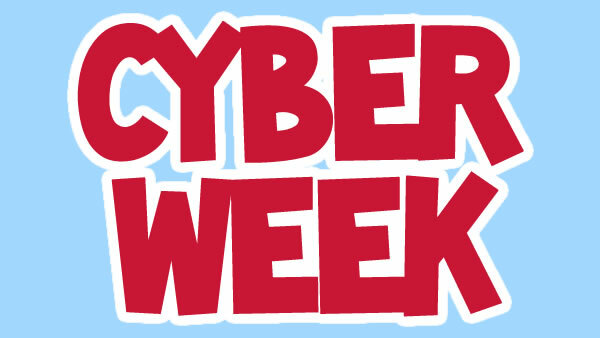 Cyber Week for Small Business! It's simple. Click on our website and check out our various brands we carry and pick your items. If you want to order something from us, you can send it in via email, Facebook Messenger or even by calling us. Call Sheryl at 217-223-8008 if you want something you aren't sure we carry. Contact info is easy to find on our website. We'll order the item for you and let you know when you can pick it up. Or, if we have it in stock, we'll let you know immediately. 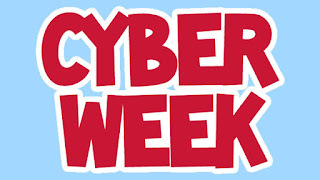 Small business can do Cyber Week just like big box stores, give us a chance! We had a great Thanksgiving weekend in the store and we look forward to Christmas and helping you find the perfect gift. Music is a beautiful thing and we want to make it happen for you - online or in the store. We are here for you!